... Are you ready for the summer of a lifetime? Click here for the 2019 Student Ambassador Selection Information & Application! The TSC student exchange program is open to residents of the city of Tempe who are juniors during the 2018-2019 academic year. Learn more about whether or not you qualify for the program toward the bottom of this page. Be part of the more than 900 Tempe high school students have participated in the Tempe Sister Cities student exchange! Gain experiences and build friendships that will last a lifetime! Each student is matched with a family who is enthusiastic about cultural exchange and friendship-building. Participants will move in with their new host sister or brother and experience all aspects of the culture first hand: family meals, chores, outings, traditions, parties, activities, responsibilities—You name it! The Tempe Sister City Selection Committee places students in the country they believe to be the best fit for the student’s summer abroad. Visit Tempe’s oldest sister city, Skopje, Macedonia, to experience Eastern Europe after the fall of the Iron Curtain. Travel to Zhenjiang, China, Tempe’s largest sister city with more than a million people, which means lots of chances to make friends! Experience Regensburg, Germany to explore Romanesque and Gothic architecture and meet our German counterparts at the Regensburg-Tempe Friendship Club. Venture to the beautiful French Riveria, staying in Beaulieu sur Mer, France, and brush up on their French where European royals once vacationed. Explore Carlow, Ireland, the first electrified city in the British isles and home to a thriving university culture. Head “down under” to visit Lower Hutt, New Zealand, and have the opportunity to see some of the beautiful coastal country, the capital city of Wellington and visit sites from the filming of the Lord of the Rings Trilogy and other movies made in the region. Experience the one and only Cusco, Peru, the historic capital of the Incan empire and cross Machu Picchu off your bucket list!. Fly south to the UNESCO World Heritage Trust Site of Cuenca, Ecuador, Tempe’s newest sister city teeming with living history. Journey to Trollhattan, Sweden, one of our newest relationships, to experience life with a Swedish family, see local sites such as Lake Vanem and perhaps visit the SAAB factory. Costs to the students and their families are kept to a minimum. Tempe Sister Cities organization covers all of the travel expenses, and host families will provide housing. Students need to furnish their own spending money for their time abroad, and families should budget to host an extra teenager for five weeks in July and August. Tempe Sister Cities will host fundraising events in collaboration with selected students’ parents to reduce the cost of hosting. The second half of the summer is when our student delegates get to host their brother or sister in Arizona. The task is easier than it sounds because Arizona is like no place else on earth! Arizona is an international destination as evidence by the 43 million yearly visitors and healthy $21 billion dollar tourism industry. Your foreign brother or sister are excited to experience the United States, the southwest, and to experience everything that you show them. ARE YOU READY FOR THE SUMMER OF A LIFETIME? 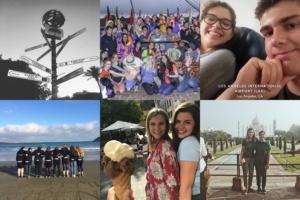 If you can answer “yes” to all of these questions, then you are an ideal candidate for the Tempe Sister Cities Student Exchange Program. Do you live in Tempe? Are you currently a high school junior? Did you pass your physical? Will your doctor say you’re in good health? Will you be living in Tempe for your entire senior year of high school? Do you want to spend five weeks of summer living in a new place, meeting new people, and experiencing new things? Are your parents willing to let you go abroad for five weeks and then host an exchange student for five weeks when you return? Will you and your parents be free to participate in all exchange activities while your host sibling is in Tempe? Are your parents willing to help fundraise by assisting with Tempe Sister Cities activities like Oktoberfest and those at Hackett House? Are you a member of the Tempe Sister Cities Organization? If not, would your family join Tempe Sister Cities for just $35?